Many lenders charge an additional fee for issuing numerous cheques and swiping the credit card. If you have ever gone through the credit card- card statement, you will get to know there exist many charges that are levied by the bank. Here’s a list of the charges that banks levy, which go unseen. 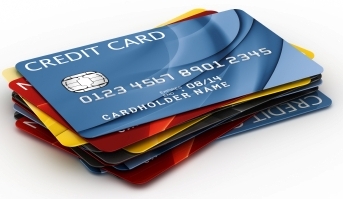 But if you are using a credit- card you should be aware of the additional charges levied by lenders. Are you using cheques to pay all your expenditure from rent to electricity? You must know that banks set a limit on the no. of cheque leaves issued in a year. If you go beyond the limit, you are charged with extra charges. The charges that are levied could be altered according to the RBI. In order to promote electronic payment, RBI intends to make changes in order to remove the cheque usage NEFT is an online payment facility that eliminates these extra charges. When the last day to clear the Credit Card dues arrives, many of us end up paying by cash for immediate compensation to avoid delayed fees. In doing so, you are drawing a charge levied by the bank on cash payment, though the logic is unclear. For example, HDFC Bank specifies that payment of credit card bills in cash will involve an additional Rs.100 charge toward processing costs. So, cut off your cheques well in advance, or utilize an instant payment facility to conclude the transaction immediately. When you go beyond the credit limit unknowingly, you have to pay an overdrawn fee. The fee imposed is a percentage of the overdrawn amount, in accordance to the maximum and minimum limit. For example, ICICI Bank customs a 2.5 percent fee, liable to a maximum of Rs 500. This kind of position can occur quite easily if you’re on a foreign vacation. Banks like HDFC impose an additional 10 percent fee on all transactions conducted in foreign currency, making it difficult to keep an accurate check on whether you’re within your spending limits. So, the only way out is to be cautious about card usage limit. The idea of Transferring Existing Balance to another card might seem a good idea for a while, but this might land you to pay high sum. Carefully read the fine-print before switching to a card carrying lower interest. Often, in order to lure the customer banks lower the interest but a large fee might be charged. This sum may turn out to be even more than the interest you would have paid initially. Setting up a bank account just to put away funds for the rainy day sounds like a good idea, except you could be penalized for not operating it. The duration of time before an account is reported dormant varies across banks. There are many unseen but unavoidable charges that you have to pay. One such fee which lenders charge for sending you alerts via SMS or e-mail every time a transaction that is made. For example, Canara bank charges Rs. 60/year. Such a facility is availed for security purposes, and you must consider them as important but unavoidable fees. Some banks provide this facility free of charge to their customers such as CitiBank. Similarly, online payment through NEFT and RTGS also impart small charges that can’t be avoided.